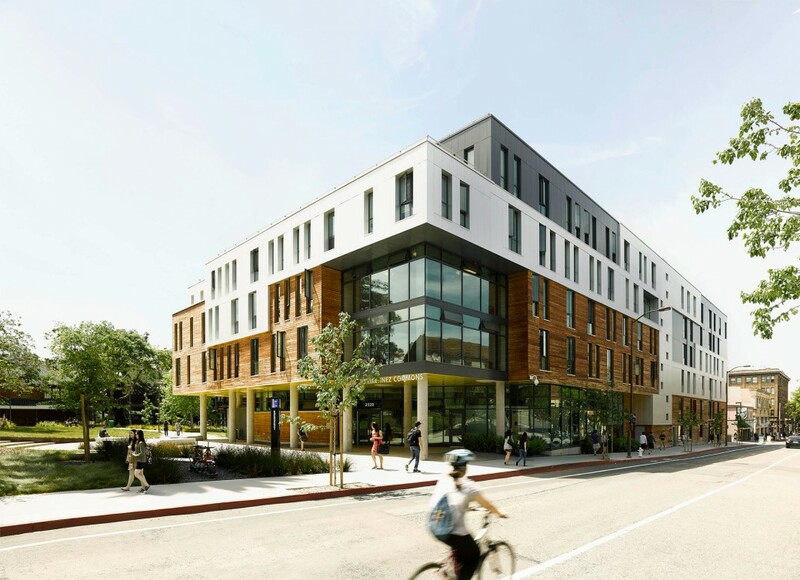 As part of UC Berkeley’s 2020 Long Range Development Plan, the Maximino Martinez Commons houses a sophomore residence hall and upper classmen apartments for 416 students. 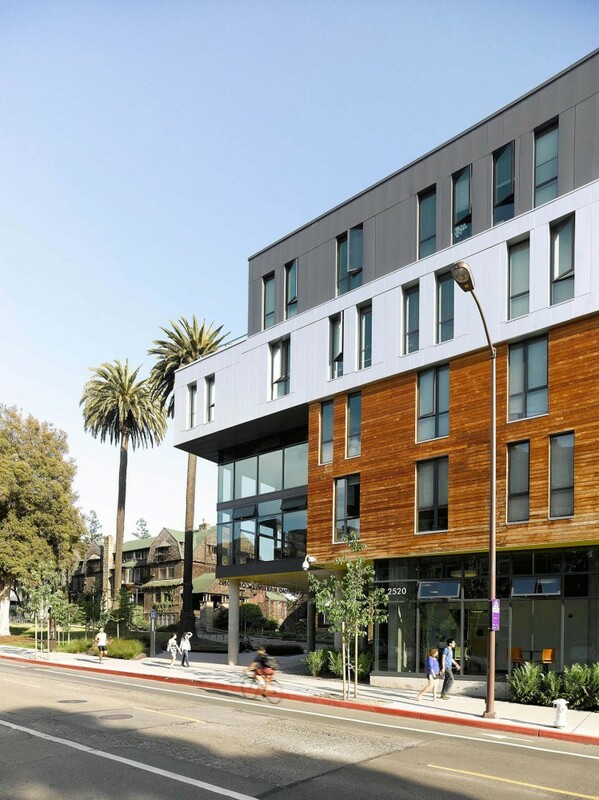 The complex of single and double story units has access to light and air from two sides, creating naturally bright and well ventilated living spaces. 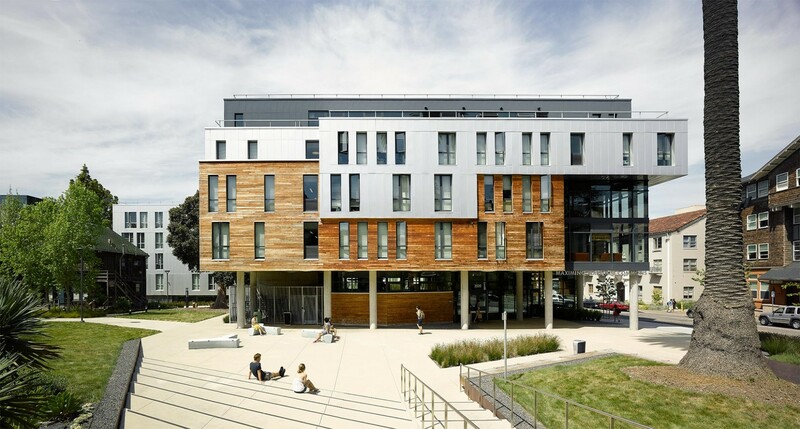 These units are situated above the student concourse which is a topographic ground plane that links the shared program with the adjacent landscape. 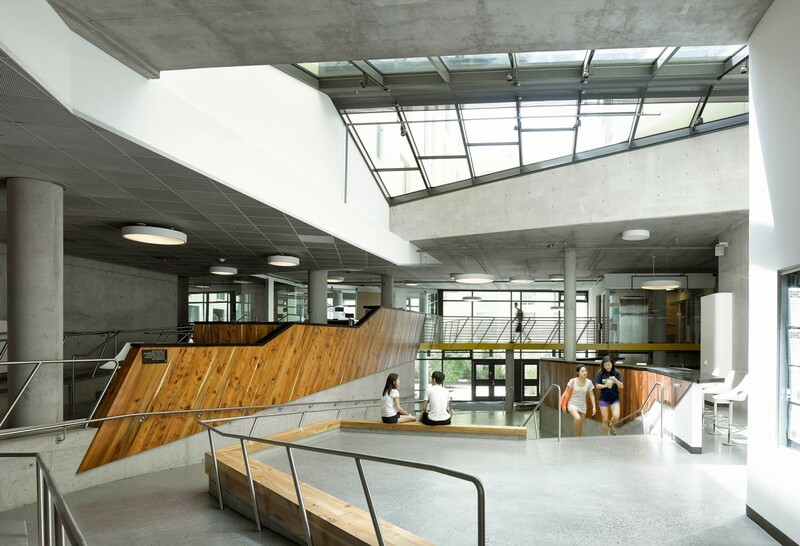 Healthy and inspiring living environments for students were created, to ensure that its legacy is not a burden on future generations, and to promote public awareness of the relationship between progressive environmental strategies and the quality of urban life. 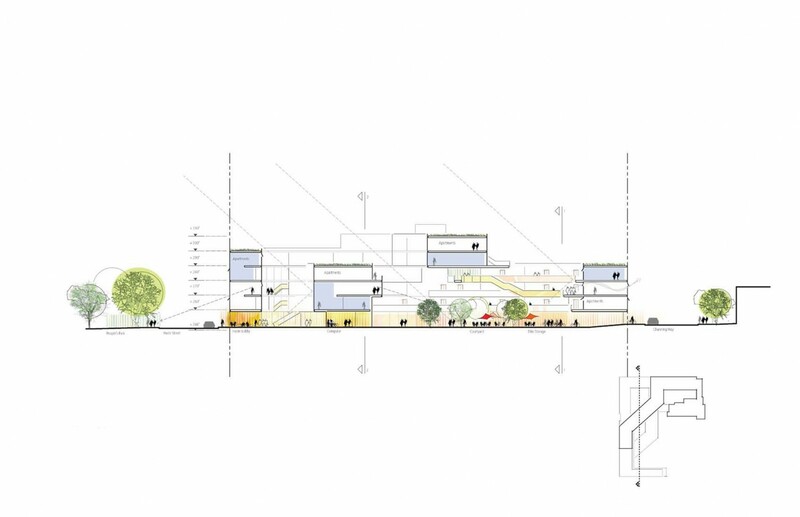 Beyond this, the project is intended to act as a catalyst for urban development and to bring vibrancy and vitality to the neighborhood. 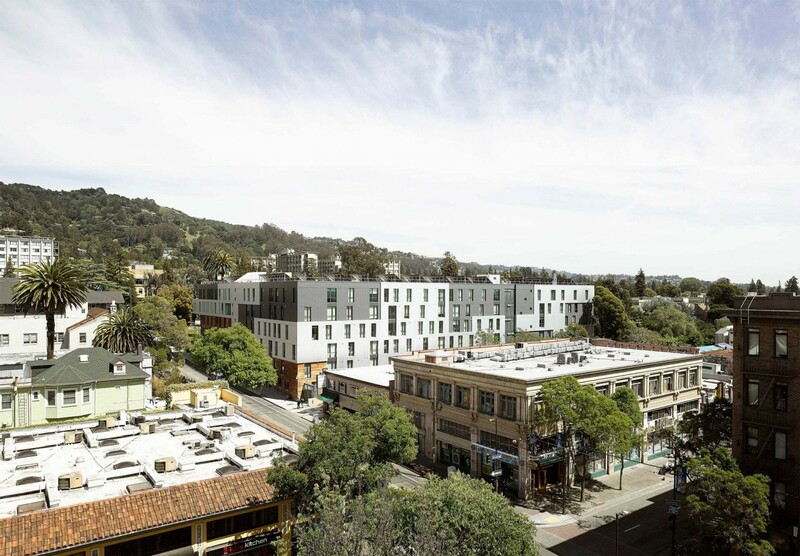 The project site includes the Anna Head Historic Structures Complex, which is a notable example of the brown shingle style in the Bay Area, a regional expression of the Arts and Crafts Movement. 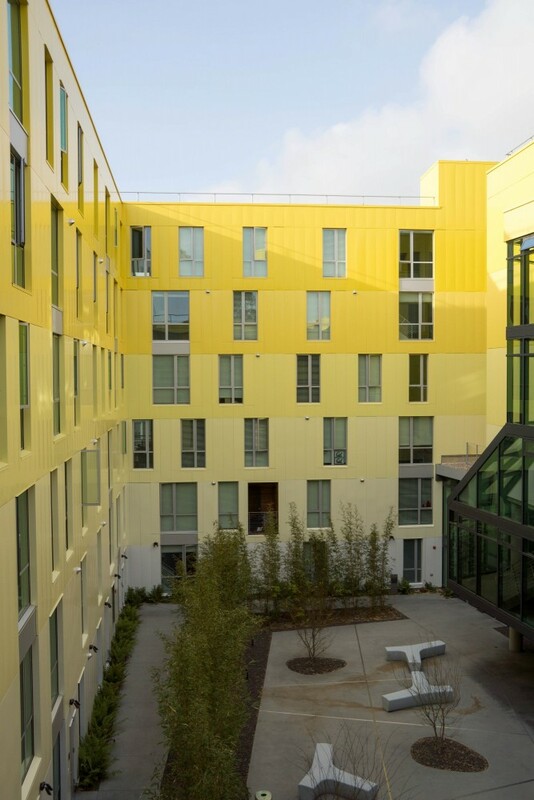 The student housing complex does not seek to mimic the adjacent building structures; rather, it is a contemporary building that responds to the scale, orientation and organization of the neighboring structures. 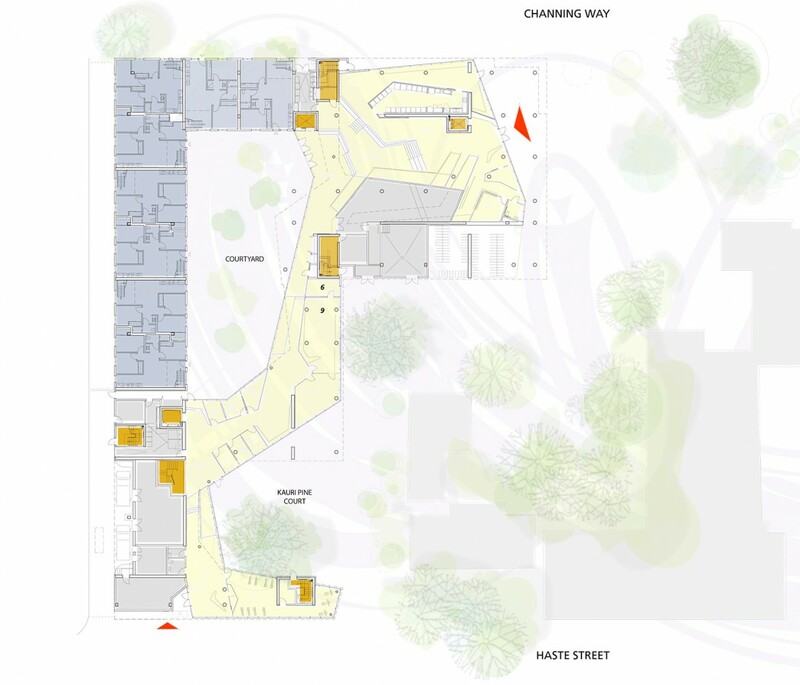 The quality of outdoor spaces between the new and old buildings are equally important in the development and these spaces will provide diverse areas of play and rest along with careful transitions between the public, semi-public and private realms. Additionally, the existing arboretum of tree species gives the project a unique ability to nestle around a mature landscape. Floor plates are allowed the opportunity to distinctly weave through the tree canopies. 13.192 m² / 141,998 sq.ft.